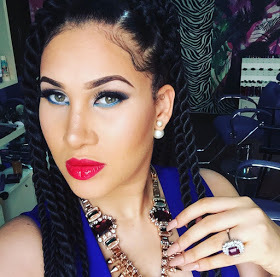 Caroline Danjuma has defended her now deleted post on the Kemen/TBoss issue where she said being called a molester is punishment enough. few min clips I saw. The same way you all saw few seconds clips of AY show n started bashing him is the same way I saw few seconds clips of the incident and needed clarification . TBoss .. note this was based on the clips going round ..
to have a closure to this as this must hurt really badly ..
anymore .. we all act like we are sinless ..
To request for forgiveness does not justify his actions is right . To ask questions concerning tboss' involvement does not mean she is wrong or she is to be blamed ..
subscription too) .. no matter what , both parties must be heard for fair judgement .. Note kemens actions ain't right ( I repeat) ... I am not new to your abusive ways so have a go with it .. there can only be a closure if both parties are heard.. even if kemen and tboss had to see a counsellor she will listen to both before she tries to help them heal .. Some of us ain't as heartless as you all.. we give second chances, we forgive and hope it never repeats itself. we ain't perfect . I am a feminist but first I promote love and forgiveness and yes I will ask as many questions as I want for CLARIFICATION. of hate... everyone deserves a second chance .